"I chose Dr. Kulbersh after a great deal of research and consultations for a lower blepharoplasty. The results of the procedure was above and beyond what I could ever have hoped for with a very natural look. I could not provide a higher recommendation for Dr. Kulbersh and his team." "Dr. Kulbersh is an 11 on a 1-10 scale. He does beautiful work and thanks to him, I am able to properly breathe through my nose for the first time in my life." "Along with a neck lift, Dr. Kulbersh artfully performed a few non-invasive revisions to my nose which made a major improvement! I'm very happy with the results!" "I had the filler done in the upper and lower eyelid area and could not be more pleased! It really made my eye area look rejuvenated. I live about 8 hours from his office. I am so pleased I will continue to travel to see him as a patient . I can not say enough good things about him. He is fantastic!" 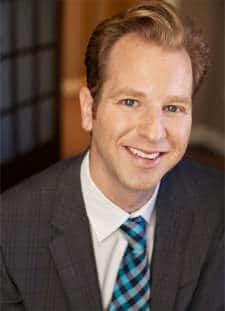 "Outstanding practice with one of THE BEST plastic surgeons and staff." Our boutique facial plastic surgery practice is located in Charlotte, NC. Our practice is directed by our Beverly Hills-trained double-board certified facial plastic surgeon, Dr. Jonathan Kulbersh. Our mission is to provide the ultimate in holistic and comprehensive treatments for all aesthetic and reconstructive conditions of the face, eyes, and neck. We use the latest techniques from Beverly Hills including the needleless filler injection technique to provide the best results while minimizing downtime. We will work in partnership with our patients to achieve realistic and natural results in a safe manner. Our luxurious offices are located in Southpark area, where our first-rate patient concierges and Dr. Kulbersh will ensure a comfortable and welcoming experience at our practice. Dr. Kulbersh and our concierges will be available throughout your entire experience, whether a first consultation or a full surgical facial rejuvenation procedure. Dr. Kulbersh believes it is an honor and a privilege to serve as your doctor, and he treats his patients with the same care and respect he would give his own family. At Carolina Facial Plastics, we believe that we offer the preeminent boutique facial plastics experience not only in Charlotte, but throughout the Carolinas. Everything that we do is all about you! Facial plastic surgery is plastic surgery performed only on the face, head, neck, nose, and eyes. There are surgeons, such as Dr. Kulbersh, who spend their entire career and practice exclusively specializing in the treatment of these areas. Common procedures of a specialized facial plastic surgeon are rhinoplasty, face and necklifts, blepharoplasty, botox, and facial fillers. The numerous rhinoplasty treatments offered by Dr. Kulbersh include primary rhinoplasty for first time patients, revision rhinoplasty for the improvement of appearance cause by a previous surgery, ethnic rhinoplasty to preserve ethnic identity, and non-surgical rhinoplasty through the use of injections. Those looking for facial rejuvenation can find the most effective and longest lasting solution in face lift procedures, which use a variety of procedures tailored to the unique needs of each patient. Dr. Kulbersh provides both facelifts and minilifts that can include numerous procedures, such as fat transfer, liposuction, chin augmentations, and more for effective treatments. Sagging and swollen eyes can add years of age to the face, but a blepharoplasty from Dr. Kulbersh can open the entire face by restoring your eyes to a youthful and expressive appearance. Both upper and lower blepharoplasties can tackle the many issues that affect the appearance of your eyes and can even treat medical issues that obstruct vision for a healthier everyday life. Through the use of Botox and various Facial Fillers, Dr. Kulbersh has provided countless patients with fast and effective treatments that fight the signs of aging and prevent further aging of the face, such as wrinkles, crow’s feet, and more. In conjunction with other treatment options, Dr. Kulbersh provides patients with effective treatments for individual appearance goals.